The ALMA group at KASI will host a townhall meeting for preparation of ALMA Cycle 7 proposals. Anyone who is interested in applying for ALMA time is welcome! The official call for proposals and relevant information can be found at the ALMA Science Portal. A preview of the Cycles 7, 8, and 9 ALMA Configuration Schedule is now available. This schedule is being released to allow ALMA users to plan their proposal strategy for the next three Cycles. Note that the overall schedule may be modified depending on the outcomes of the proposal review process and the proposal pressure in the different configurations. While configurations C-1 through C-8 (with maximum baselines between 0.16 and 8.5 km) will be offered every cycle, users should note that configurations with baselines longer than 13 km (C-9 and C-10) are scheduled for Cycle 7 and 9 but not Cycle 8. The Schedule is provided at the following link. 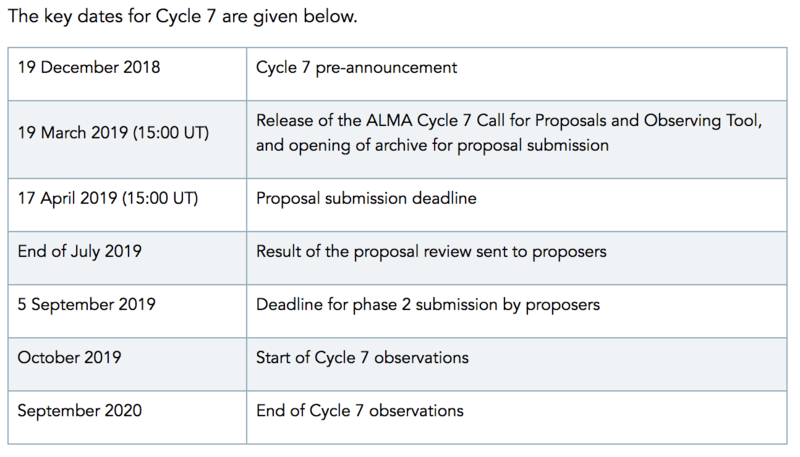 In Cycle 7, ALMA will offer an ACA stand-alone Supplemental Call for Proposals. It is anticipated that the Supplemental Call will be released on 3 September 2019 with a proposal deadline on 1 October 2019. Since the Supplemental Call will follow the Main Call by five months, the Supplemental Call will maximize the scientific output of the ACA by allowing more timely science to be proposed. Proposals accepted in the Supplemental Call will be scheduled for observations between January 2020 and September 2020. The science portal includes a more detailed description of the Supplemental Call. More information on the Cycle 7 pre-announcement is available in the ALMA science portal. KASI has been developing a wide band ALMA receiver covering the frequency range of the ALMA band 7 and 8 (275 to 500 GHz) since 2015 in cooperation with the NAOJ. The GPU spectrometer also has been developed as a backend of recievers for the ASTE telescope as well as for the ALMA TP array, which has been approved by the ALMA board committee in 2017. 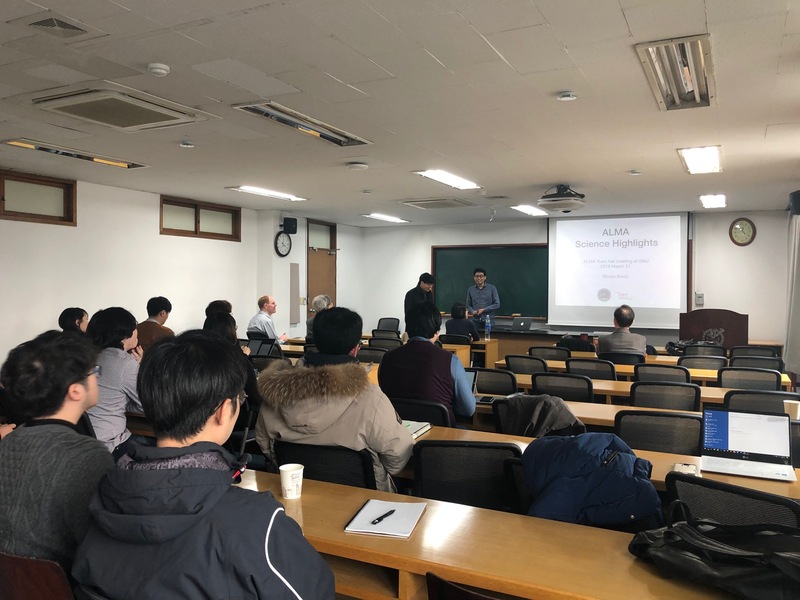 The researchers of the KASI and the NAOJ have been conducting regular face-to-face meetings for the effective cooperation of development projects. This year in 2018, there were two face-to-face meetings during January 16-17 and November 20-22 in Korea. The detailed programs can be found in the following links. 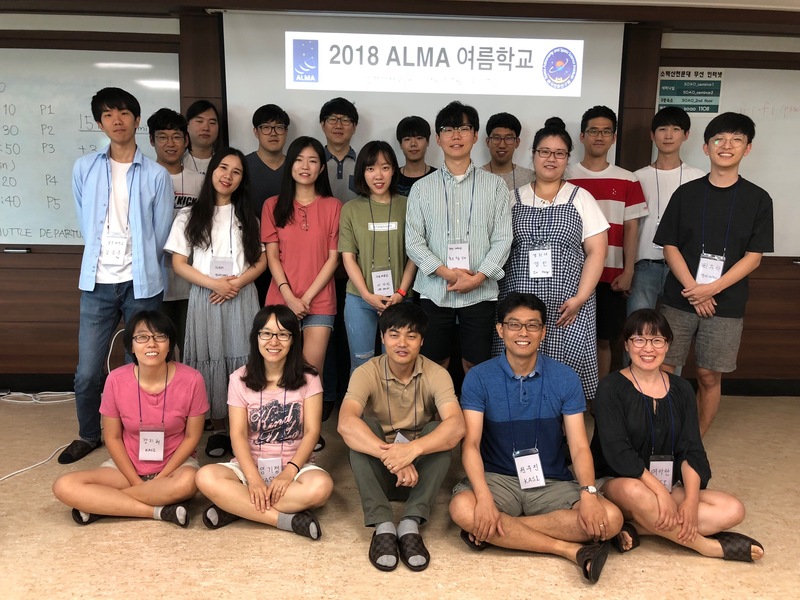 ALMA 관측 자료 이용 방법과 ALMA 망원경을 이용한 연구 과제 개발을 위하여 한국천문연구원 전파천문본부 ALMA 그룹은 2018년 7월 23-27일 동안 소백산 천문대에서 “ALMA 여름학교”를 다음과 같이 개최하고자 합니다. 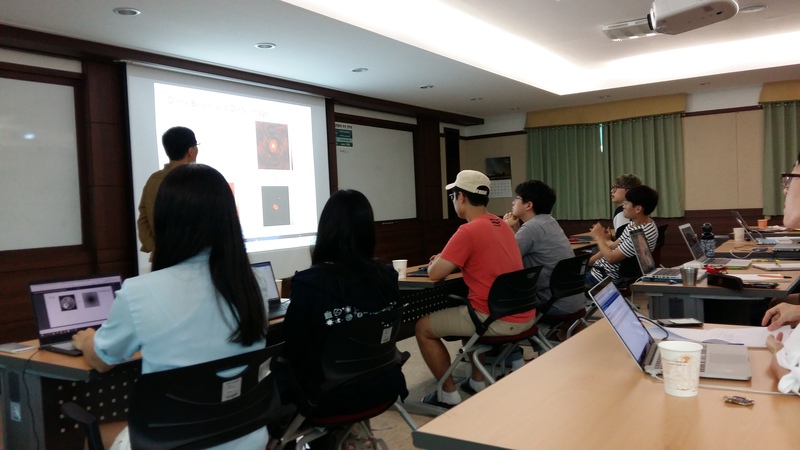 여름학교에서는 전파간섭계의 간단한 원리, 그룹별 ALMA Archive 자료 처리 전 과정 (Calibration과 Imaging), 그리고 간단한 분석 (Position-Velocity Diagram, Moment maps etc.) 방법을 다룰 예정입니다. 강의는 한국어로 진행합니다. The presentation files of group hands-on projects can be found here. The ALMA group of KASI will host a town hall meeting for preparation of ALMA Cycle 6 proposals. All the astronomers who are planning to propose for ALMA observations or who are interested in ALMA are cordially invited. 15:00 UT on Thursday, 19 April 2018. The ALMA Proposer’s Guide contains all pertinent information regarding the ALMA Call for Proposals. A comprehensive description of the ALMA observatory and its components can be found in the ALMA Technical Handbook. For information not provided at the Science Portal, proposers may submit a Helpdesk ticket. Registration at the ALMA Science Portal is required for Helpdesk ticket submission. The Joint ALMA Observatory (JAO) will start the next cycle of observing (Cycle 6) in October 2018. A Call for Proposals with detailed information on Cycle 6 will be issued in March 2018, with a deadline for proposal submission in April 2018. This pre-announcement highlights aspects of the Cycle 6 proposal call that are needed to plan proposals (click). General information: ALMA Cycle 6 will start in early October 2018 and span 12 months. It is anticipated that 4000 hours of 12-m Array time will be available for successful observations of approved projects, and 3000 hours will be available on the Atacama Compact Array (ACA), also known as the Morita Array. Korea Astronomy and Space Science Institute, Daejeon. 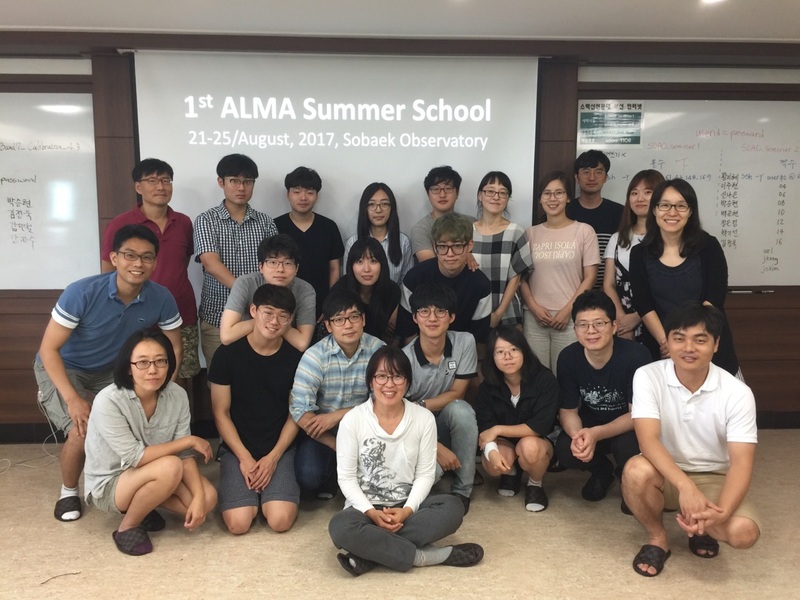 The first ALMA Summer School was held at Sobaek Observatory for 5 days. 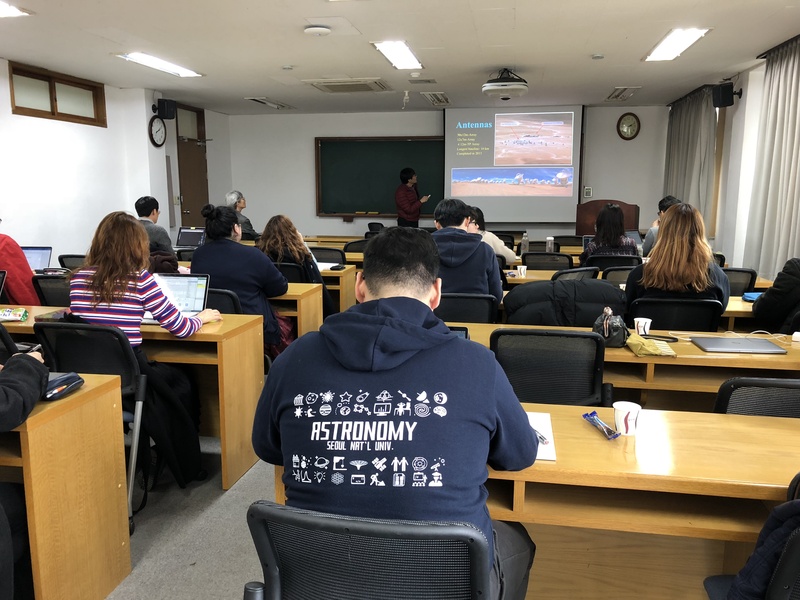 By introducing the fundamentals of radio interferometer and the technical methods for data analysis, this program was designed to help students to easily access to public data from the ALMA Archive. ALMA 7m Array Supplemental Call for Cycle 4 is NOW OPEN! The Joint ALMA Observatory (JAO) is now accepting observing proposals that request to use the 7-m Array in stand-alone mode for the remainder of Cycle 4. Instructions on how to submit proposals can be found on the 7-m Array Supplemental Call web page (click). General information ALMA Cycle 5 will start in early October 2017 and span 12 months. is anticipated that 4000 hours of 12-m Array time will be available for successful observations of approved projects, and 3000 hours will be available on the Atacama Compact Array (ACA), also known as the Morita Array. Proposals for this special call will be accepted only for the 7-m Array in stand-alone mode. Proposals that request the Total Power (TP) Array or the 12-m Array will be declined. A proposal may request up to 50 hours of observing time on the 7-m Array. We encourage large time requests within this limit. Proposals will be accepted in Bands 3, 4, 6, and 7 for any LST, except between LST of 15 h and 20 h in Bands 6 and 7. The largest amount of time available in any band is at an LST of >22 h and <`13 h. Only proposals that request standard modes are permitted, as defined in the ALMA Cycle 4 Proposer’s Guide. Proposals can be submitted starting April 21, 2017 and will be reviewed as they are received. Instructions on how to submit a proposal through the ALMA Observing Tool (OT) will be made available on the ALMA Science Portal on April 21. Proposals can be submitted at any time up until the end of Cycle 4 or until the available time has been fully allocated. 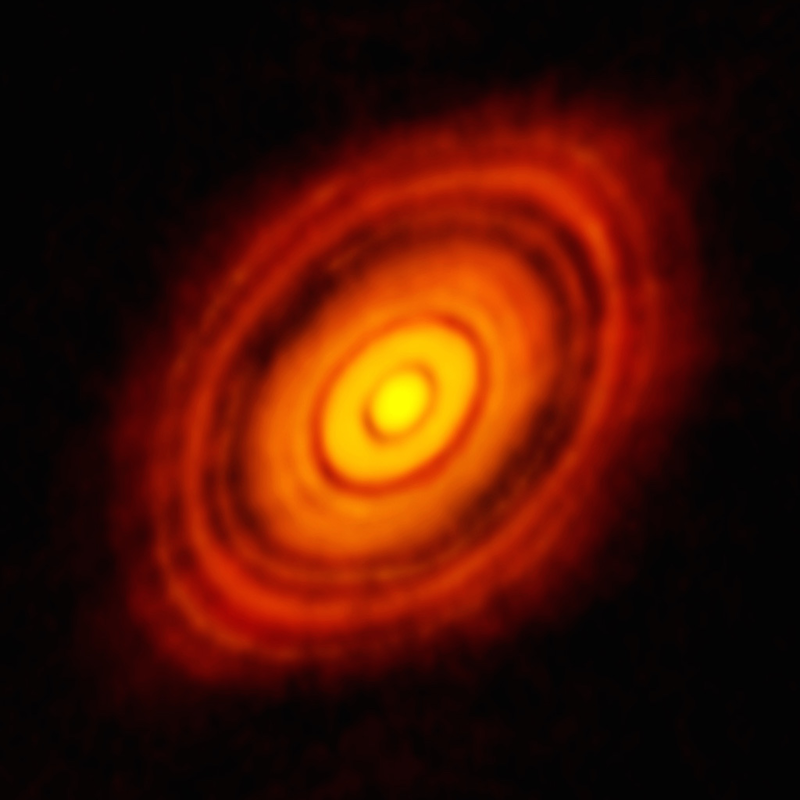 An announcement will be posted on the ALMA Science Portal when this opportunity closes. 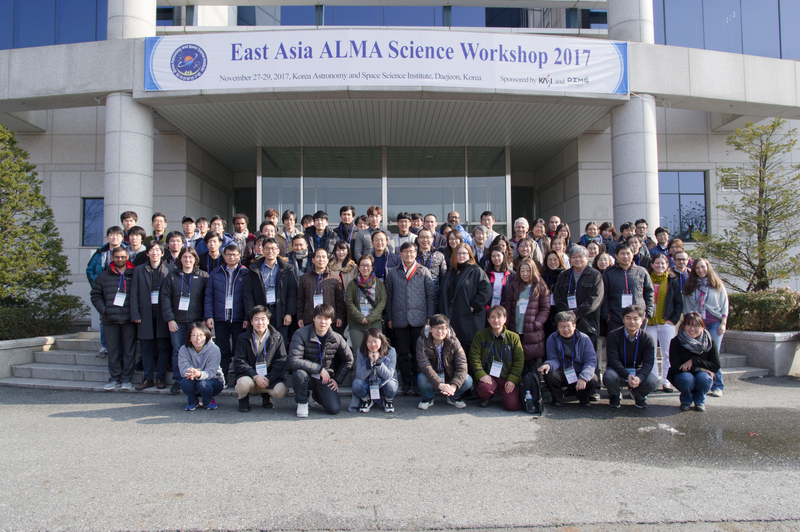 ALMA ACA TP Array GPU Spectrometer PDR was held at KASI in Feb 20~21, 2017. As indicated in the Cycle 5 Pre-announcement, this announcement provides further information on Cycle 5 proposals, including: (1) Update on the availability of Band 5, (2) Reclassification of 16 km baselines as a standard mode, (3) Cycle 5 configuration schedule, (4) Information for preparing Large Programs. Complete details will be provided in the Call for Proposals, which will be released on the ALMA Science Portal on March 21, 2017. It is expected that phased ALMA will participate in some GMVA observations during ALMA Cycle 5 (Oct 1 2017 - Sept 30 2018; see the ALMA Cycle 5 Pre-announcement). The number of ALMA dishes possible in the phased array is likely to be 35 - 43 (but see below). ALMA will not be in a configuration suitable for VLBI during GMVA Session II 2017. GMVA session dates during Cycle 5 are not yet fixed, but Session I in 2018, which is likely to be in March or April, should provide an opportunity for GMVA + ALMA observing. GMVA Session II in Fall 2018 may also overlap with ALMA Cycle 5 in a configuration suitable for VLBI. (1) Specify "ALMA" in the Other Stations text field in the PST. (2) Select the default GMVA 3mm observing mode of 2 Gbps, dual polarization. (3) Specify the amount of time and GST range(s) needed for ALMA separately, either in Session Constraints or Comments, or in the Technical Justification. New installments of Science Verification data are planned for release on 18 January 2017. The data release will contain observations of the Sun obtained during the Solar commissioning campaigns in 2014 and 2015. The release will contain mosaics and single pointing observations in Band 3 and 6 with the 12m, 7m and total power arrays. Details of the observations will be listed on the Science Verification web page. New in Cycle 5 In Cycle 5, the following opportunities will be available to Proposers for the first time. -Band 4 polarization: Proposals will be accepted for Band 4 observations in all available polarization modes. - Band 5 observations: Proposals will be accepted for spectral line (12-m,7-m and Total Power arrays) and continuum (12-m and 7-m arrays) observations in Band 5. Proposals will be accepted for Band 5 observations in all available polarization modes. 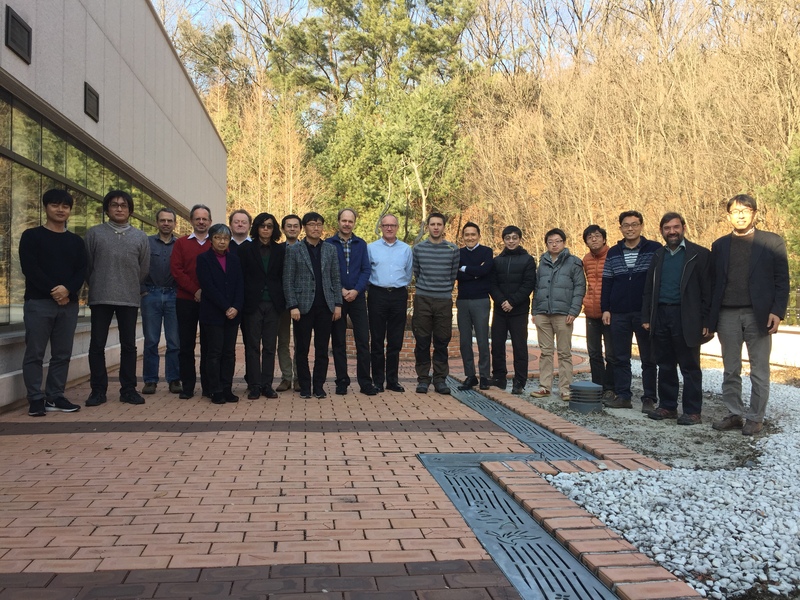 The 7th KASI/NAOJ F2F (face to face) meeting to discuss for the future ALMA/ASTE instrument update. The meeting was held at KASI for two days (Oct 24-25, 2016). ALMA Cycle 4 Call for Proposal is NOW OPEN! 15:00 UT on Thursday 21 April 2016. 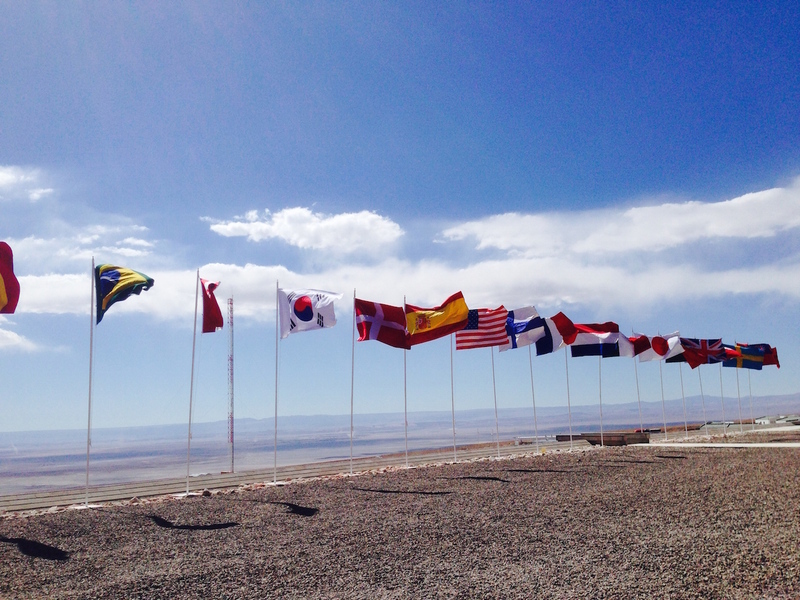 We invite members of the scientific community to submit observing proposals for ALMA Cycle 4. Cycle 4 will start in October 2016 and span 12 months. Users of any professional background, nationality or affiliation may submit proposals. 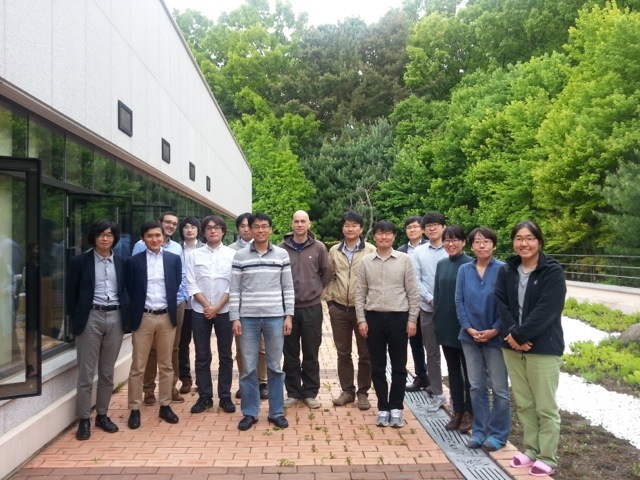 The 5th KASI/NAOJ F2F (face to face) meeting to discuss for the future ALMA/ASTE instrument update. The meeting was held at KVN TAMNA for three days (Mar 23-25, 2016). 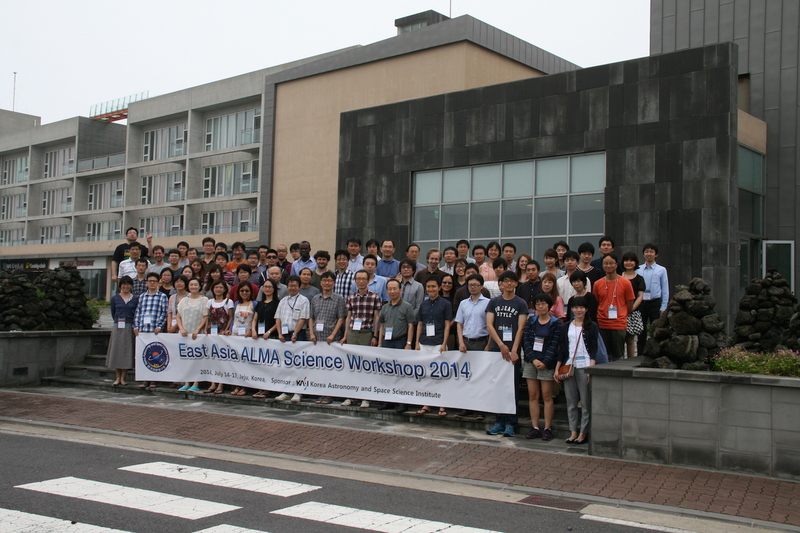 Two Korea-ARC node town meetings for the ALMA Cycle 4 will be held in March 2016. 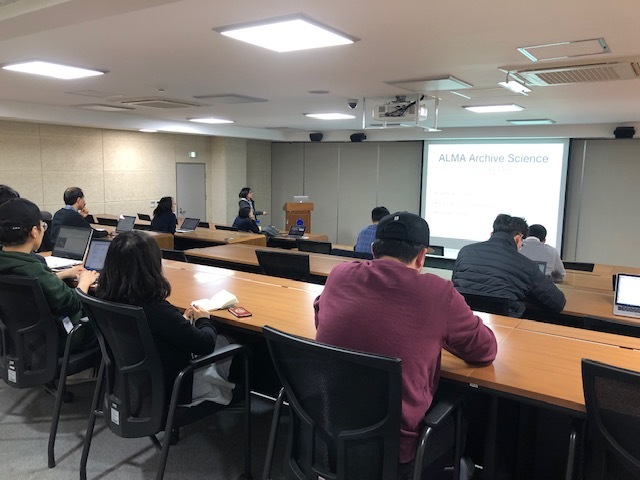 The main purpose of the town meeting is to introduce the upgraded ALMA capabilities for the Cycle 4 observations and help users to prepare their proposals. The Joint ALMA Observatory(JAO) released the pre-announcement of Cycle 4. 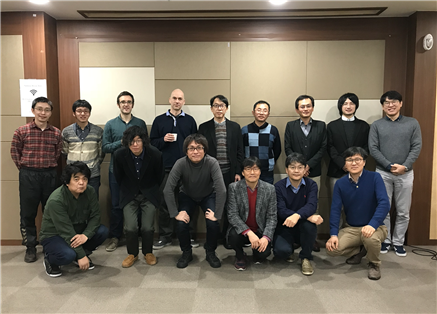 The 3rd KASI/NAOJ F2F (face to face) meeting to discuss for the future ALMA/ASTE instrument update. The meeting was held at KVN TAMNA for two days (Oct 1-2, 2015). M100 observations of the CO(1-0) line in Band 3 with the 7-m Array and Total Power (TP) Array, along with an update of previously released 12-m data, demonstrating the ALMA Compact Array (ACA, 7-m and TP Arrays) and data combination capabilities. 3C 286 in Band 6 continuum, demonstrating ALMA's polarization capability. 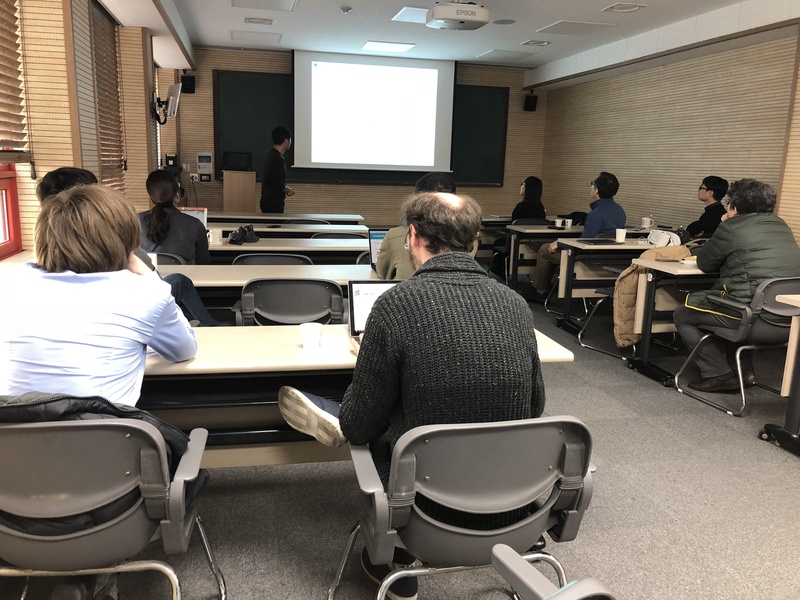 The KASI/NAOJ F2F (face to face) meeting to discuss for the future ALMA/ASTE instrument update. The meeting was held at KASI for two days (May 11-12, 2015). An updated version of the Observing Tool release for Cycle-3 proposal preparation has been released on 17 April 2015. This includes fixes for a number of bugs that were found after the original release. More details of these can be found on the OT "Known Issues" page. All users are recommended to upgrade to the latest release - Web Start users will automatically get the new version upon restarting the OT. 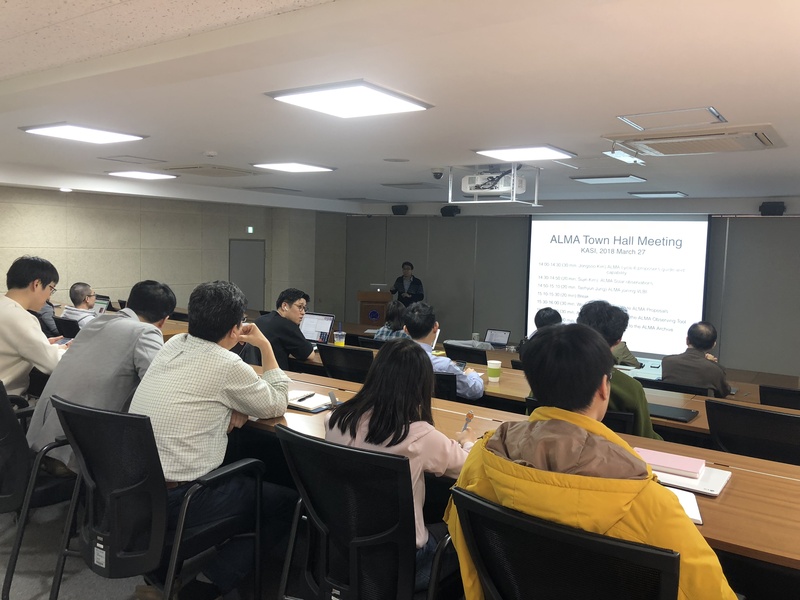 The Korea ARC node will hold a series of town meetings for the ALMA Cycle 3 preparation. The main purpose of the town meeting is to introduce the upgraded ALMA capabilities and help users to prepare their proposals. Three half day meetings and one full day meeting are scheduled. 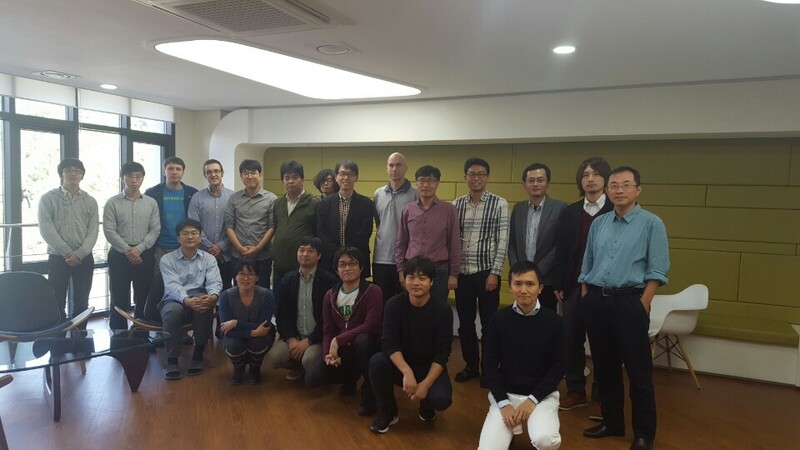 25 March 2015: KIAS (Korea Institute For Advanced Study) + Sejong Univ. 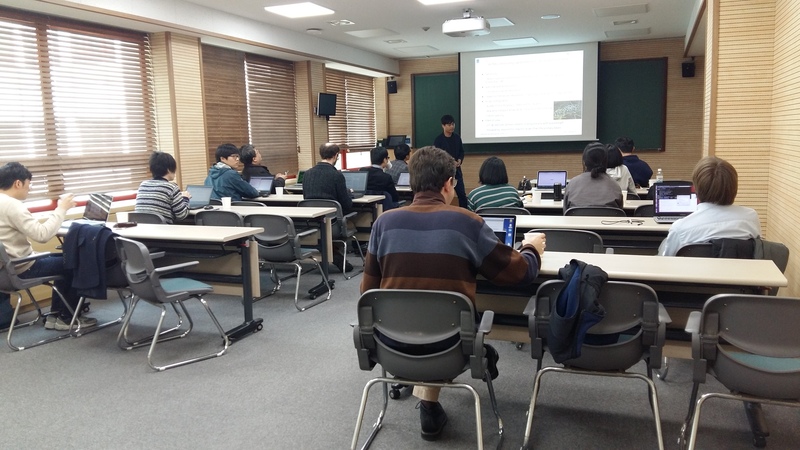 26 March 2015: SNU (Seoul National Univ.) 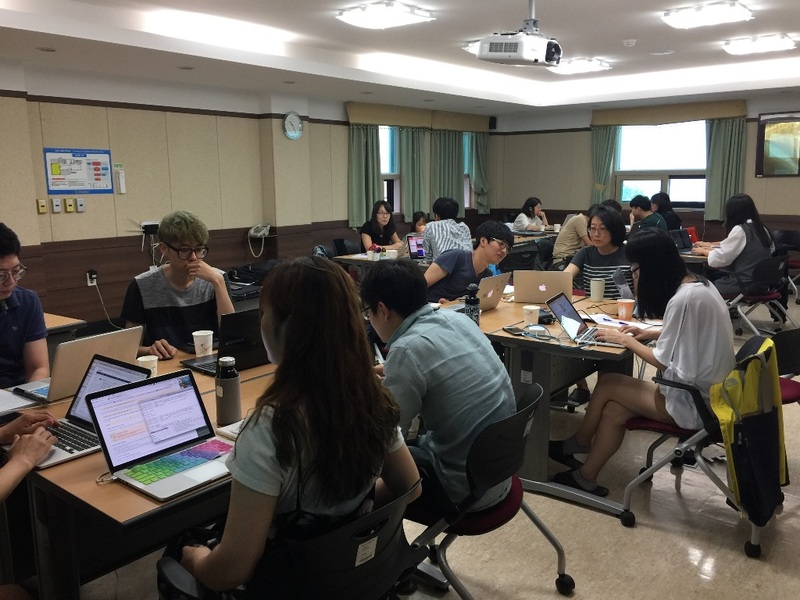 + Yonsei Univ. 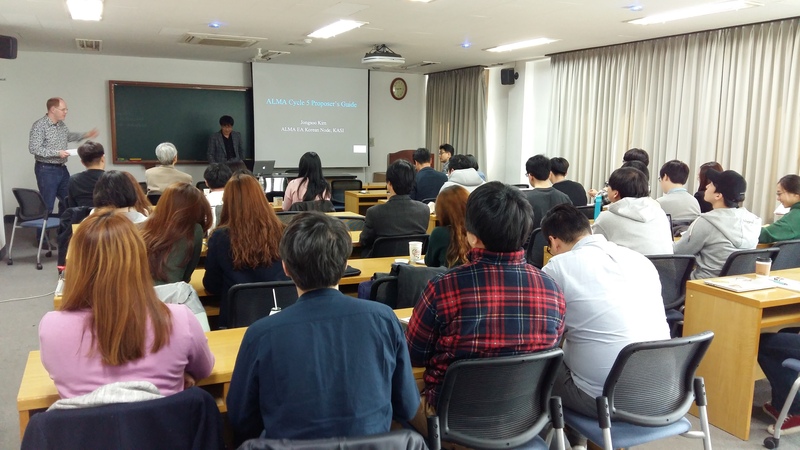 03 April 2015: KyungHee Univ. 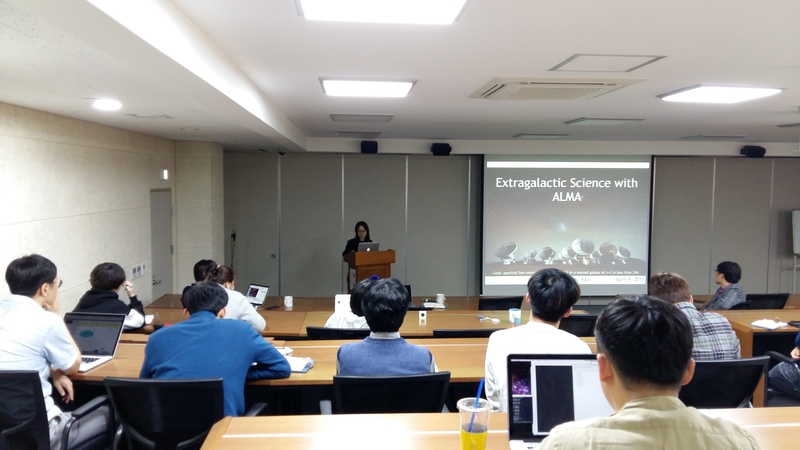 On August 17, 2014, the National Institutes of Natural Sciences (NINS) of Japan and the Korea Astronomy and Space Science Institute (KASI) signed an agreement concerning the operations and development of ALMA. With this agreement, Korea officially joined in the East Asia ALMA consortium, whose current members are Japan and Taiwan. 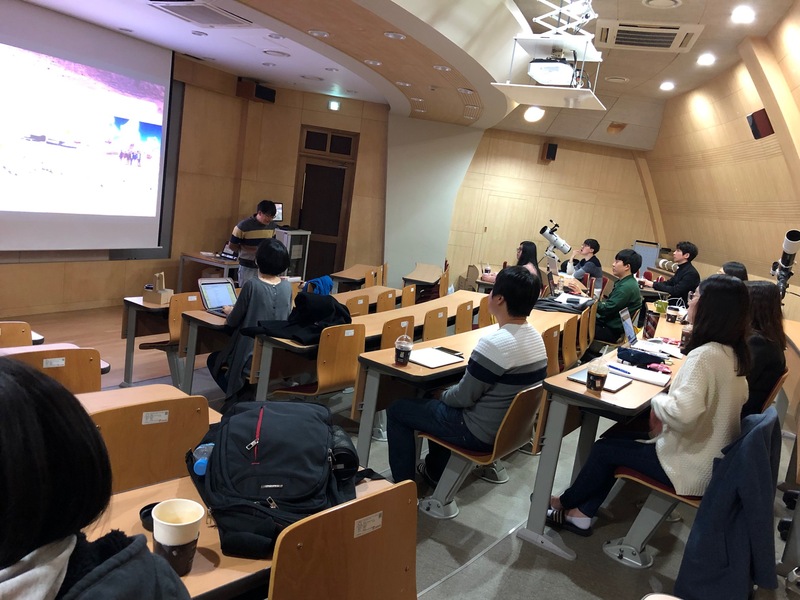 Japan and Korea have promoted active collaboration in the field of astronomy. In 2001, the two countries made a successful VLBI observation for the first time by linking the 45-meter radio telescope of the Nobeyama Radio Observatory (NRO) of the National Astronomical Observatory of Japan (NAOJ) and the 14-meter radio telescope of the Taeduk Radio Astronomy Observatory of Korea. 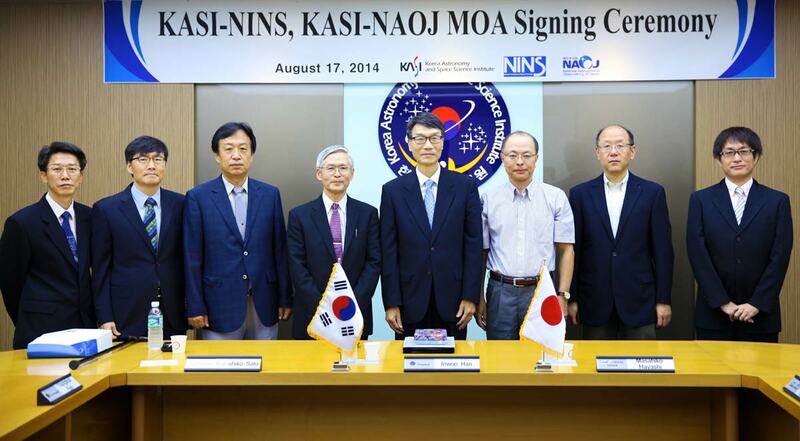 The following year, NAOJ and KASI officially signed an agreement to further strengthen the collaboration. And a decade later, in March 2012, NAOJ and KASI signed a Memorandum of Understanding concerning the collaboration of ALMA. 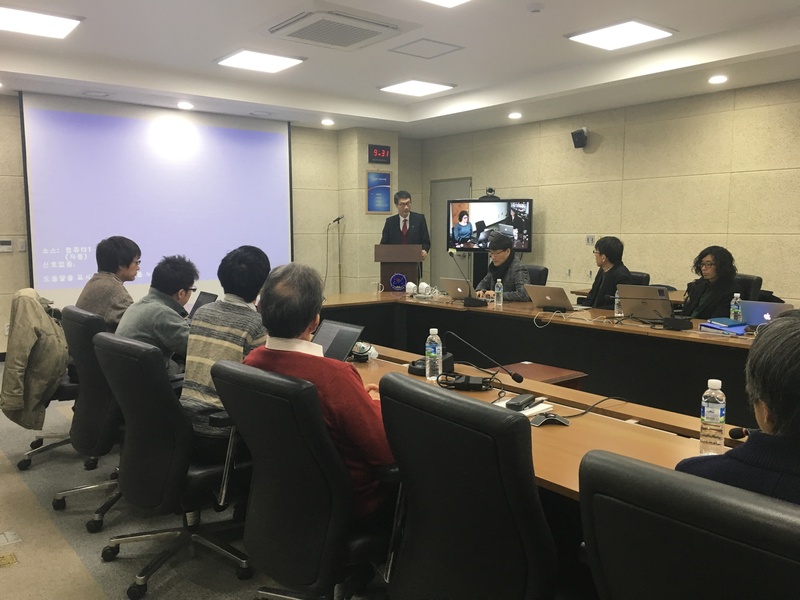 This agreement enables Korea’s participation into the ALMA project as well as their contribution to the operations of ALMA and development of new instruments. It is expected that this agreement will enhance the cooperation of two countries in astronomy and greatly promote the diversity and innovativeness of East Asian astronomical researches.